Wendy Northcross is Chief Executive Officer of the Cape Cod (MA) Chamber of Commerce. She has been with the organization since 1997 and a chamber executive since 1988. She is a Certified Chamber Executive (CCE) and completed a Ford Foundation Fellowship for Regional Sustainable Development through the Association of Chamber of Commerce Executives (ACCE). She joined the board of directors of ACCE in 2013 and its executive committee in August 2015.In 2015, Northcross was elected to the national Destinations Council of the U.S. Travel Association, and serves the local boards of the Cape & Islands Workforce Investment Board and the Job Training & Employment Corp. She is a member of the Town of Barnstable’s Affordable Housing Growth & Development Trust Fund Board. Previous community involvement include the New England Chamber of Execs (past Chair), JFK Hyannis Museum, Arts Foundation of Cape Cod, as well as numerous other civic organizations. In 2012, Northcross threw the opening pitch at the Boston Red Sox game on Cape Cod Day. In 2014 she was listed as one of the Cape’s 12 most powerful women by Cape Cod Magazine. In 2015, she was awarded the inaugural Founders Community Leadership Award by the JFK Hyannis Museum. Joining the Board at the Bank in 2000, Wendy serves on the Community Reinvestment Act (CRA) Committee, Strategic Planning and Technology Committees. 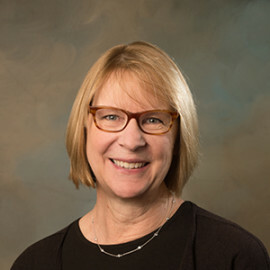 Northcross was born in Michigan and was raised in the greater Boston area and on Cape Cod where she lives with her husband, Van, who is retired from Cape Cod Healthcare. She and her husband enjoy the Cape’s rich cultural offerings as well as traveling to see the world and spending time with family.